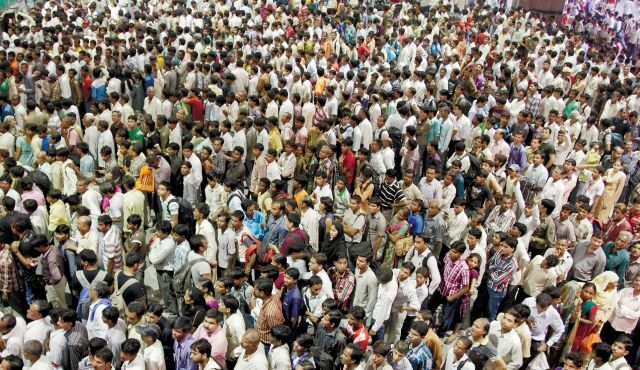 Is India really over populated? We hear so much propaganda from government and media than India is over populated. But is it really overpopulated? A country being over populated or not, and its degree of overpopulation can be measured by seeing its physiological population density. What is Physiological Density of population? The physiological density or real population density is the number of people per unit area of arable land. A higher physiological density suggests that the available agricultural land is being used by more and may reach its output limit sooner than a country that has a lower physiological density. List of countries by real population density based on food growing capacity – Wikipedia, the free encyclopedia. Note that, I have not included countries which I thought was insignificant or only marginally better than us like Indonesia, Srilanka (Which is better than us despite fighting a civil war), Hong Kong etc, nor have I included the Oil exporters like Saudi, Kuwait, Qatar, Venezuela etc just to avoid the confounding variable oil, since these countries can be argued to be wealthy because of their export of oil. So is it right to blame our under development on our population when clearly, countries much more over populated than us have succeeded much better economically and socially? All our ills are caused by misgovernance of 5 decades of Congress rule and their misplaced socialistic economic policies. Population was just a bogey to hide the incompetence of the Nehru clan and its bad socialist policies. To be frank, we would have remained under developed even if we had only a population of 2 crores instead of the present 125 while we can thrive even with 300 crore population if we utilize our potential to the maximum through capitalism, just like how Japan, South Korea, Taiwan, Belgium, etc. with a similar population density are thriving. I think it is about time we stopped blaming population for out ills and looked at our economic policies which was the actual reason we are poor.